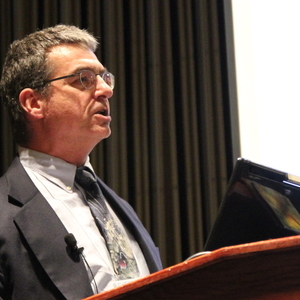 Anthony Pratkanis is interested in how the social world influences our attitudes, beliefs, and behavior. 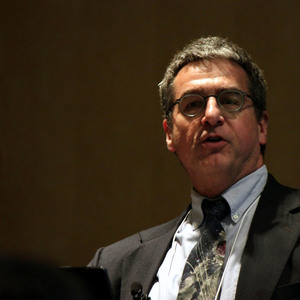 His research program has investigated such topics as the delayed effects of persuasion, attitudes and memory, groupthink, affirmative action, subliminal persuasion, mass communications, source credibility, persuasion and democracy, and a variety of influence tactics such as the pique technique, phantoms, the projection tactic, and altercasting. Most recently, Professor Pratkanis has evaluated the success of the U.S. military’s psychological warfare campaign in Iraq, as well as the Bush administration’s attempts to build public support for military action domestically and abroad. 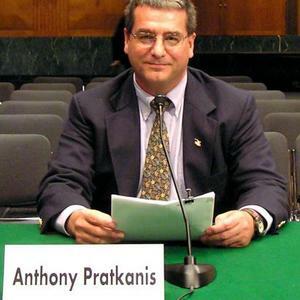 Pratkanis, A. R. (2007). 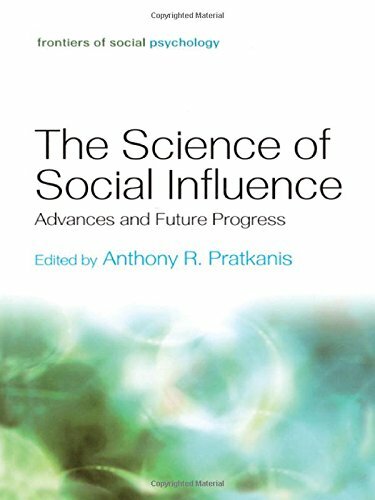 The science of social influence: Advances and future progress. Philadelphia, PA: Psychology Press. Pratkanis, A. R., & Aronson, E. (2001). 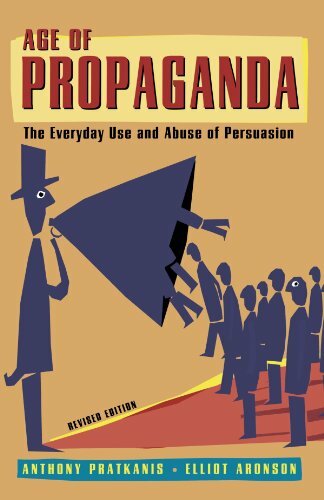 Age of propaganda: The everyday use and abuse of persuasion (rev. ed.). New York: W. H. Freeman. Greenwald, A. G., & Pratkanis, A. R. (1988). On the use of "theory" and the usefulness of theory. Psychological Review, 95(4), 575-579. Greenwald, A. G., Spangenberg, E. R., Pratkanis, A. R., & Eskenazi, J. (1991). Double-blind tests of subliminal self-help audiotapes. Psychological Science, 2(2), 119-122. Horvitz, T., & Pratkanis, A. R. (2002). A laboratory demonstration of the fraudulent telemarketers' 1-in-5 prize tactic. Journal of Applied Social Psychology, 32(2), 310-317. Pratkanis, A. R., Eskenazi, J., & Greenwald, A. G. (1994). What you expect is what you believe (but not necessarily what you get): A test of the effectiveness of subliminal self-help audiotapes. Basic & Applied Social Psychology, 15(3), 251-276. Pratkanis, A. R., & Farquhar, P. H. (1992). A brief history of research on phantom alternatives: Evidence for seven empirical generalizations about phantoms. Basic & Applied Social Psychology, 13(1), 103-122. Pratkanis, A. R., & Greenwald, A. G. (1993). Consumer involvement, message attention, and the persistence of persuasive impact in a message-dense environment. Psychology & Marketing, 10(4), 321-332. Pratkanis, A. R., & Turner, M. E. (1999). The significance of affirmative action for the souls of white folk: Further implications of a helping model. Journal of Social Issues, 55(4), 787-815. Pratkanis, A. R., & Turner, M. E. (1996). Persuasion and democracy: Strategies for increasing deliberative participation and enacting social change. Journal of Social Issues, 52(1), 187-205. Pratkanis, A. R., & Turner, M. E. (1996). The proactive removal of discriminatory barriers: Affirmative action as effective help. Journal of Social Issues, 52(4), 111-132. Rucker, D. D., & Pratkanis, A. R. (2001). Projection as an interpersonal influence tactic: The effects of the pot calling the kettle black. Personality & Social Psychology Bulletin, 27(11), 1494-1507. Santos, M. D., Leve, C., & Pratkanis, A. R. (1994). Hey buddy, can you spare seventeen cents? Mindful persuasion and the pique technique. Journal of Applied Social Psychology, 24(9), 755-764. Turner, M. E., & Pratkanis, A. R. (1998). A social identity maintenance model of groupthink. Organizational Behavior & Human Decision Processes, 73(2-3), 210-235. Turner, M. E., & Pratkanis, A. R. (1998). Twenty-five years of groupthink theory and research: Lessons from the evaluation of a theory. Organizational Behavior & Human Decision Processes, 73(2-3), 105-115. Pratkanis, A. R., & Greenwald, A. G. (1989). A sociocognitive model of attitude structure and function. In L. Berkowitz (Ed. ), Advances in experimental social psychology, Vol. 22. (pp. 245-285). San Diego, CA: Academic Press.